Has anyone built one of these collimators or...? Thank you for these instructive and informative posts on collimation. This has been one of the best threads ever on CN. I have learned so much. Edited by SandyHouTex, 31 March 2019 - 08:30 AM. I started on making one of these after Bill's first book came out - needless to say it's still an ongoing project. The new book fills in some gaps. As Matt said, the auxillary telescope is the "secret sauce". Finding a rhomboid prism long enough to give a decent offset and give a line of sight which clears the intervening binocular body was not so easy. I managed to find a supplier who sells individual pieces to the public, and picked up a couple uncoated 42mm ones: https://www.knightoptical.com/ The main hold up is just the fine mechanics of mounting the prism, without having access to a well equiped workshop. If (when!) I ever get it finished, I'll post some pictures. For those who missed it, Foss had a Mk V up for sale in the CN classifieds, and had a short video describing it. I'm setting a 11in SCT for a collimator as shown in the picture. But I still haven't figured out how to correct the reticle screen exactly at the focal plane position. I see in this topic that many people have plan to use SCT to setup a collimator, can you help me know how to do it? In this thread, it was stated that the Suddarths use a C8 and a C14, and USN Mk 5. Do they transfer the 2-angular axes adjustable fixture from the Mk. 5 to the C 8 and/or the C14, when using those Celestron scopes as parallel light sources? Or are other 2- angular axes adjustable fixtures used with the Celestrons? Mad Matt re. #25, #28: I tried the 2 Porros cemented to made a rhomboid experiment years ago. The peek-around ray goes through the prisms, and the ray through the binocular half just clears the edge of the lower Porro prism. Image rotation can happen if the Porros are not square when the cement hardens. The errors of such a glued up rhomboid prism made of two Porros could be corrected with wedge windows housed in rotatable mounts. The JTII "hand collimator" used an inaccurate rhomb ( to lower cost). corrected by two rotatable wedge windows, located just ahead of each of the two ray entries to the rhomboid. the exit end of the rhomboid has a 45 degree prism attached to its reflective face, to make that end a beam combiner. Appropriate coatings or semi-reflecting silver of aluminum at the glued junction of the two prisms act to make one ray slightly yellow, and the other slightly blue-green. The color difference allows the operator to see the origins of each part of the combined images. That is, Left , or Right, or Peek-Around vs. through one half of the binocular. The JTII can work as a comparator L vs R, or as a peek-around comparator WITH OR WITHOUT AN AUXILIARY TELESCOPE. The magnification of an auxiliary handheld scope is helpful, at 2x to perhaps 5X, but a JTII can be used alone. I have done ( tiring) work on a dockside boat with just a JTII and braced elbows ,in the 1980's or early '90's. I saw similar activity at sometime Bushnell subcontractor Oriental Optical in Pasadena. Yoshi was working on binocs which were not the finest, and handheld was good enough, particularly with his long experience on similar specimens. See my posts via searching older CN via Nuer and /or Dinka as search words, to see some comparators and adaptation of JTII to auxiliary scopes. I have Navy comparators with rhomb attachments, 1923 vintage. They had lots of use in the 1970's and 1980's. Distant terrestrial targets were the parallel light sources. What sort of handheld comparator did Hans Seeger use ? Just an FYI, I ordered a 220mm/600mm Fresnel lens off ebay and it looks like they should work well enough. I have initial tested with my Swarovski 8.5x42 EL and I believe the image quality should be good enough for collimation. I don't have a periscope aux. telescope (yet) so this was a simply naked eye collimation check. Of course the CA is pretty bad but a monochrome light source will take care of that. The image was perfectly collimated and I could not detect that the distortion was falsifying the collimation. If you cant find a "long" focal length Fresnel locally then you can also try combining a positive and negative Fresnel into a doublet to get a usable focal length. Three Porro prisms, cemented to each other on what are normally their reflecting faces, conceivably may serve as a beam combining pseudo rhomboid prism. 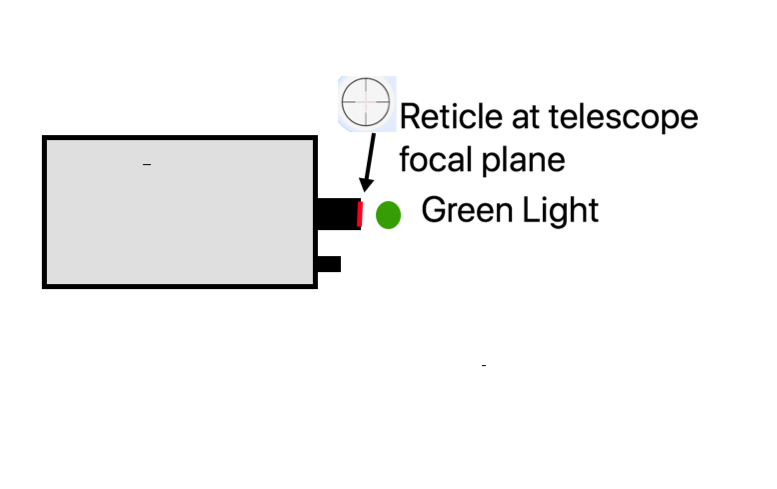 Where the second prism interfaces the third prism, that surface of the second prism could be 50/50% half silvered , to make that interface a beamcombiner of the image through the binocular half with the image via the peek-around path. Flash silvering kits are used by pro optical fab shops for intermediate tests . correction of such a three-Porro assembly. It's exhausting just reading the various tries..